Evil's Personal Palace - HisEvilness - Paul Ripmeester - Gaming. Star Citizen: Tactical Military Analysis of in-game ships, Part XV My Wishlist. This list is a compilation of ships I consider missing, they might well be in the pipeline or will be conceived later on. Here I reflect on some missing components ships and accompanying mechanics and ships that would offer greater synergy. It is called my wishlist since I find that these ships are missing and would offer interesting or even critical gameplay options. What ship manufacturer actually should produce them would be of no concern as any would do. This list is entirely from a military point of view and not so much from a gameplay aspect but can still offer gameplay value to Star Citizen. Yes I am aware there are several ships that are somewhat in this category but they are built from a gameplay point of view. A ship designed to insert/extract troops put emphasis on protecting the passengers, weapons, turrets are for the sake of gameplay. Troops would prefer to have a faster more protected ship and rely on friendly fighters to deal with enemy fighters. Putting guns on a forward firing arc to provide an initial punch to a landing zone, however, this would not be a priority. Having greater forward speed over being nimble, shorter travel time from and to landing zones. Where you negate the chance of getting hit by spending less time over/in hostile areas. A clear example would a Vietnam era Huey that was used in a troop transport role and a modified variant was used as a gunship. But never did you see a ship performing both roles, weight restrictions, of course, played a role in the early version of the helicopter. Either redesign a ship like the Hoplite or design a ship from the ground up with features as followed. 1. Robust defense in terms of shielding and armor but without having to sacrifice to must speed or none at all. 2. Drop the manned turret for a PDS system for defense purposes only. 3. When multi-crew ensure the 2nd player is the crew chief and runs all the systems from a station, including the ramp/docking collar. 4. Being able to traverse very fast in a straight line but does not require it to be nimble. 5. Room for up to 10 fully armored players and weapon racks that allow for modding of kits and store extra ammo. 6. Possibility for modular design so it can be modded for MEDEVAC/Gunship but fitting modules will feature trade-offs. 7. Docking collar that has a low yield emp device that can short door locks for rapid boarding actions. 8. Atmospheric flight, retain some of the above it not all for planetary assault. In short terms have a dedicated transport that excels only at that with the possibility of some support roles such as MEDEVAC. Other ships should support it and the only focus should be on getting troops on or off the battlefield. Also, it should be cheap and easy to produce in terms of Star Citizen lore so it would be good for mass-production and be readably available. LSAD, Light Special Assault Deck. A concept ship for special forces operations without the need for a land base but with coastal access. 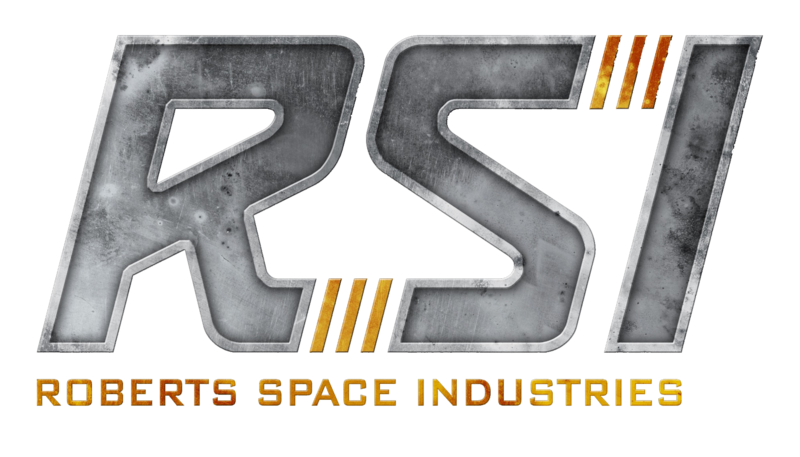 Modified for the Star Citizen Universe to perform long endurance operations from orbit. This can either be a direct assault to take the planet or to perform a quick tactical raid with the need for large-scale support. With the release of the Tumbril Nova the logistics for dropping large vehicles in an orderly fashion comes in to play. Furthermore, it also adds the dimension of large-scale assaults that require dedicated support in terms of storage, repairs, and deployment. A dedicated ship that allows for the housing of marines their equipment and vehicles with medical and repair facilities to support their deployment. All space is dedicated to such a role and will only allow for a modest PDS and turret defense and should at all times be escorted by a capital ship. This ship should have most of its internal space dedicated to storage if several Tumbril Nova's, various Rovers and bikes. Paired with the above-mentioned Assault ship that could be fitted with a module to sling load a Tumbril Nova or several rovers/bikes. Having docking space for several Assault Ships that can be docked and either load vehicles or have marines embark the ship. Then disembark the Assault ships for a combined assault on the planet/moon or celestial body. Room for repair and a modest medical bay to provide critical battlefield healthcare to wounded Marines, at least room for 1 operating room. Then a recovery ward with a staff of nurses to provide after-care and recovery for wounded Marines. 1. Robust workhorse, size wise a large corvette or a small frigate. 2. Medical and Repair facilities. 3. Large bunk space to house 20 to 30 Marines and all the support staff and ship crew. 4. Command and Control bridge for ground operations and perhaps small drones/satellites for optical recon. 5. Room to store at least two Tumbril Nova's, several Rover variants and bikes for ground operations. 6. Room for storing and deploying at least 2 planetary assault ships. 7. Preference for orbital assault but with the possibility to land and deploy/recover Marines and vehicles. 8. Does not need to be fast or nimble but able to keep up with other caps ships of its size. 9. Sturdy shielding and armor to withstand some sustained fire, at least long enough to deploy ground troops and relocate. As it stands there isn's a ship that fills to role or gap in Star Citizen gameplay, logistics-wise it is a much-needed addition. Possible to modify the ship to aid in disaster relief planetside like a hospital ship does, could even be retooled with mods to a hospital ship. But as it stands it will be some what of a niche ship that will be suited for medium to large sized Orgs to conduct planetary operations.